The Secrets To a PERFECT Pie Crust! 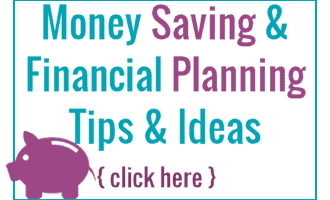 Easier than you think! Pie, one of those amazingly tasty desserts that has soo many different varieties that you could make a pie a day and still have something new to eat! Then you have the addition of ice cream on top of a nice warm slice of pie and it is heavenly! 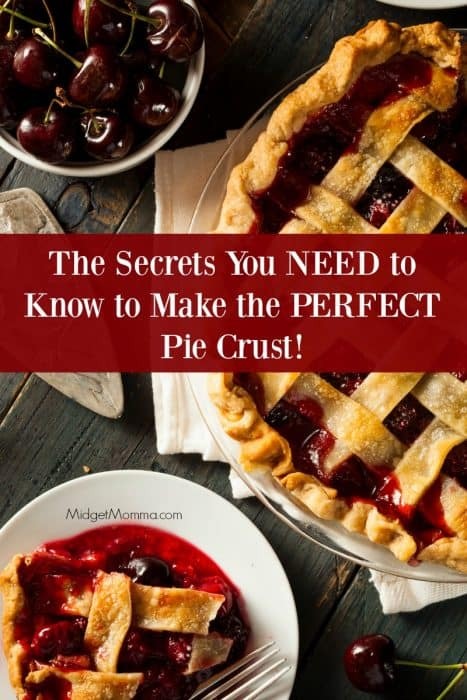 There are different ways to make a pie crust, you can make a pie crust in a food processor or using the traditional method to make a pie crust, or if you want to get fancy make a lattices pie crust. Butter and Shortening will give you amazing pie crust! Butter makes the best homemade piecrust, but shortening crusts can save you money. But no matter which one you use you will have an amazing pie crust! Be nice to your dough! Don’t overwork the dough and keep your water and butter very cold to prevent the butter from melting. LOTS of flour! Be generous with the flour on your rolling pin, rolling surface and on your dough when rolling out your pie crust. It will make it easier to work with. You NEED Cold Butter– the colder the better! Make sure your butter is very cold while making piecrust, chop it into small pieces and place in the freezer for about an hour. You can make an amazing pie with less dough! If you don’t have quite enough crust to top all your pies, there’s nothing to worry about. Make a design or roll out the crust as far as it goes. It will still look wonderful and taste delicious. Ice cold water and plenty of it! To keep your water cold while making piecrust, simply keep a glass of ice water close and measure out the water as you need it. Having the proper tools will make or break your pie crust! Make sure you have a pastry cutter or food processor, rolling pin and a pie pan. And just as a fun little tip if you have extra piecrust do NOT throw it out! Make into small shapes and top with cinnamon and sugar before baking. It is sooo delicious! Looking for more kitchen tips check these out! How Many Pints in a Quart? and all other liquid measurements you need plus a printable chart!